. استمتع بالخدمات الراقية والضيافة التي لا مثيل لها بهذا الفندق في أوكلاند. يقدم الفندق فرصة للاستمتاع بشريحة واسعة من الخدمات بما فيها: واي فاي مجاني في جميع الغرف, خدمات بريدية, خدمة سيارات الأجرة, تسجيل وصول/خروج سريع, تخزين الأمتعة . بالإضافة لهذا,تتضمن كل غرف الضيوف مجموعة واسعة من وسائل الراحة . بعض الغرف توفر حتى إغلاق, مناشف, تلفزيون بشاشة مسطحة, صوفا, مرآة لإرضاء أكثر الضيوف تطلباً. كما أن مجموعة الخدمات الواسعة الموجودة في الفندق لضمان راحتك تترك لك الكثير من الخيارات لقضاء وقتك أثناء فترة إقامتك. يحظى فندق Bankside Waldorf Apartments بموقع ممتاز وخدمات يصعب منافستها. يُرجى العلم بأنه عند الإقامة لمدة 7 ليالٍ أو أكثر، يُطبّق عليك رسوم التنظيف لمرة واحدة فقط وتبلغ 40 دولارًا نيوزلنديًا مستحقة الدفع للفندق عند تسجيل الخروج. يُرجى ذكر الوقت التقريبي لوصولك في قسم الملاحظات الموجود بنموذج الحجز. وهذه الخطوة ضرورية لضمان تواجد شخص لاستقبالك عند وصولك. تتوافر خدمة انتظار السيارات مقابل رسوم إضافية بقيمة 25 دولارًا نيوزلنديًا في الليلة الواحدة. ويجب على النزلاء أن يذكروا رغبتهم بالحصول على هذه الخدمة في قسم "الطلبات الخاصة" عند إجراء الحجز أو التواصل مباشرة مع العقار. Very good for the money, handy to all that we needed, clean. We were lucky as our room had a view of the harbour. The facilities are pretty good, you can find anything here. The view from our room at 15th floor is amazing. The only bad thing is its location. It’s located pretty far from the bus station and we had to stroll our 4 baggages on foot. The road is uphill and it’s pretty hard when you packed a lot of stuffs with you. 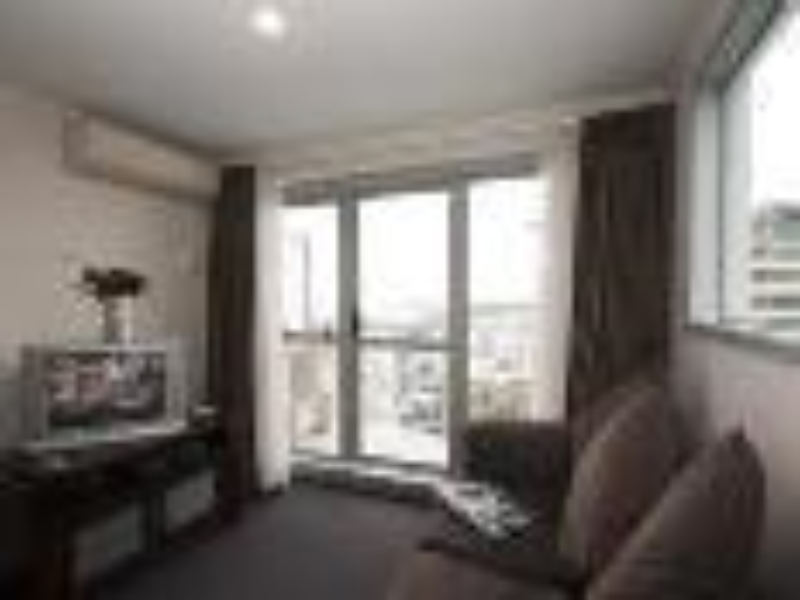 Lovely apartment with everything we needed, great view of the city and surrounds. 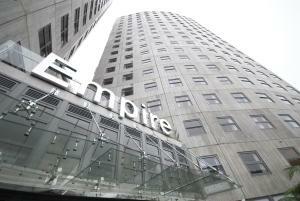 Would stay again as close to the central city bars and restaurants and Britomart. Only down side is climbing up the hill to it. Walking distance to queen street makes it easier to walk around in CBD area, especially the parking slot is so difficult to get (or expensive) within this area. The only downside is the old carpet near living room is a little bit sticky and looks dirty, and the air conditioner is malfunction. It was a difficult find initially, but once you get your bearings right, you would realise that it is just a 5-minute walk away from Queen Street. The balcony opens up to a view of the waterfront and there is a great selection of channels on the TV, hence this makes a good place to crash with friends over drinks and snacks (especially if you would like to escape the buzz in the city and having to pay for pricier F&B options). The apartment has all that is needed including a washing machine/dryer! Make sure they know when you're arriving as reception does close. 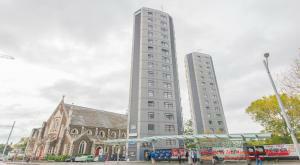 Well situated only a few minutes walk to the centre and harbour. Plenty of restaurants in the area. We had a late check in that day and we found out that we had to walk up hill a little with our luggages, it's fine. Then we wanted to do our laundry using the washer/dryer available in the room but the machine was not functioning well! It just kept washing and spinning and turning all night long ! Our clothes were still soaking wet on the next day when we're suppose to leave Auckland already, we had to waste our morning looking for a self service laundry to dry our clothes and the manager just somehow gave us a direction to look for it and turned out there's no laundry nearby, we had to walk about 2km just to dry our clothes! The place is ok, it's in the heart of the city, but please just make sure your facilities mentioned are working properly! 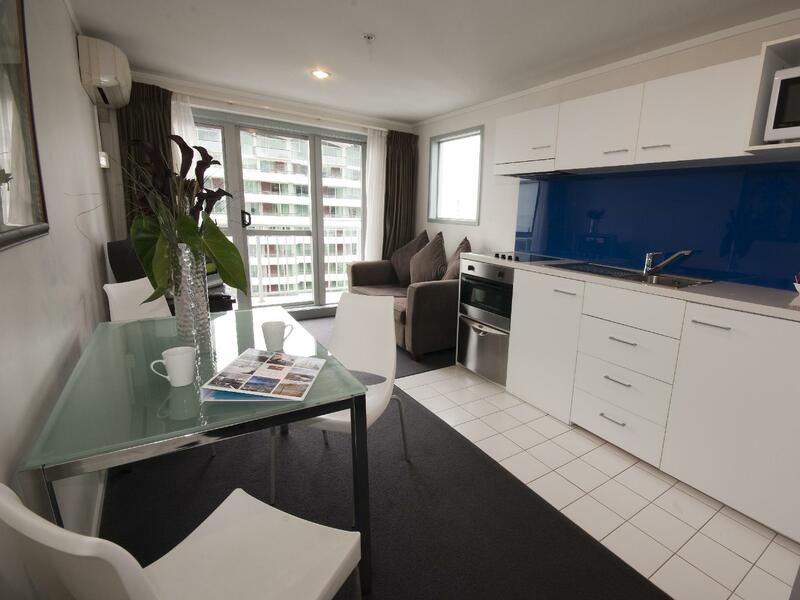 Good location - few minutes walk to the Queen Street(Shopping), Britomart Station( buses and train) or University of Auckland. Request for high floor for better view. Very good experience for walking up or down hill road around. Nearby Abert Park where you can relax and enjoy the walk. Very well kept and clean park. Room service only provides once a week. You can always request for laundry powder or coffee refill from the management office which is located in first floor. Excellent place to stay. We arrived at 10 knowing that our room wouldn't be ready at that stage to get our car park space. Not only was our car park ready but the room was too. Brilliant. Recommend to everyone. Our taxi driver took some time to find this hotel which is located on a small one-way lane. Transportation from airport was quite expensive; NZD135 for a van taxi. For internet access, advisable to buy a prepaid package at the airport. Starter package is NZD30 for local calls and 500MB data, which was enough for our whole driving trip using Google map. Room was clean with full kitchenette and utensils. . Located close to many restaurants including Asian. 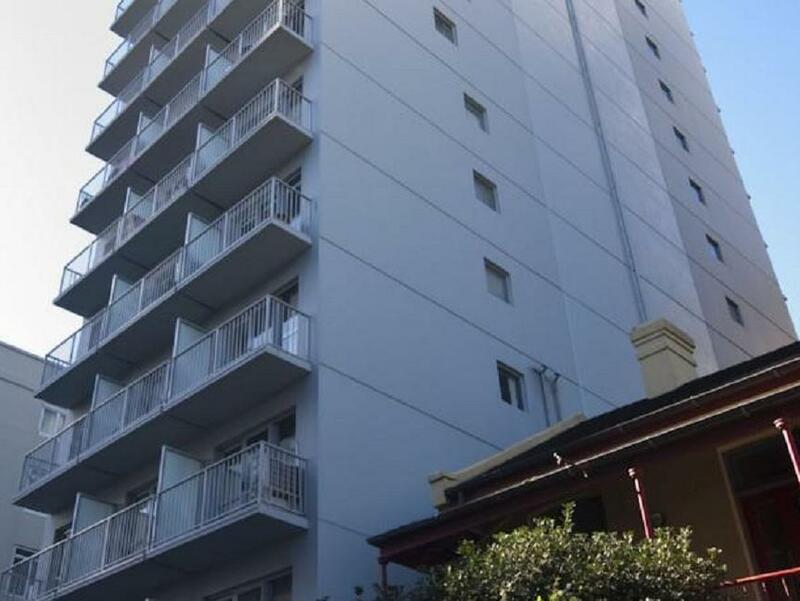 Walking distance to Queens Street and Sky Tower. The room is perfect with all facilities for a family is provided. However there is no parking available and it is not mentioned during booking (in my case). It is very expensive to pay for parking and it is hard to find one. The internet service also not free. This is a self contained apartment. very near the city centre but situated at the hilly part.The apartment is very clean and nice bed. Quite spacious. 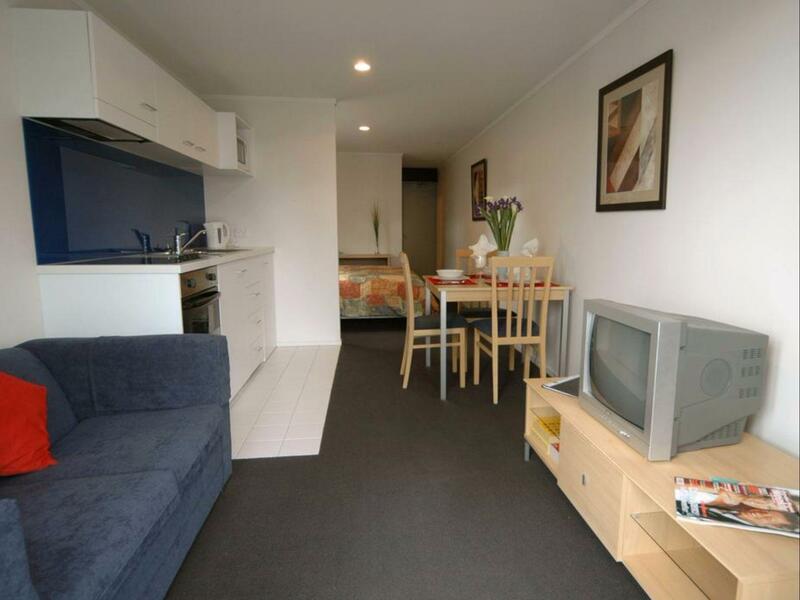 Well equiped with tv, kitchenete and laundry facilities. Nice view of the harbour. For $90 a night I would have expected a bit better. There were several basic things in my apartment that were broken or didnt work properly (sink in bathroom, kitchen drawers, bedside table drawer, air conditioning unit) and it wasnt very clean. I couldnt sit on the couch because it smelt so bad, and I really think that in the height of summer, if the air conditioning unit wasnt up to the job then there should at least be a fan to use. It was a real shame, as the location was great, and the apartment itself would be great if all of those things were put right. Bed bugs in our bed causing bed bites to both my wife and I but luckily didn’t get to my 19months old daughter! No daily room make up and no refill for laundry powder and dish wash powder even though we stayed for 3 nights. Had to throw our own rubbish out to the dumping room and no additional rubbish bag provided. We only love the location and the price that’s it! Location is great and close to many eateries. Apartment have complete facilities and love spacious atudio. However, bed is not comfortable as we can feel the spring on the bed while sleeping plus pillow isnt good to support your neck.